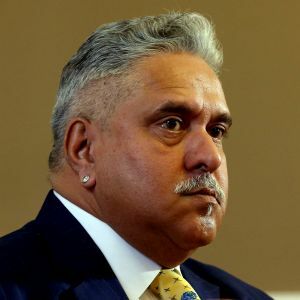 In fresh trouble for liquor baron Vijay Mallya, United Bank of India has identified United Breweries Holdings, the guarantor of grounded airline Kingfisher, as wilful defaulter. The bank has already declared Kingfisher Airlines and its four directors, including Mallya, as wilful defaulters. "We have identified United Breweries (UB) Holdings as wilful defaulter because company had the resources to repay the loan as guarantor of Kingfisher Airlines," United Bank of India (UBI) Executive Director Deepak Narang told PTI. UB Holdings had additional resources available as per the balance-sheet of 2013-14, he said, adding, these funds could have been used for paying loans given to Kingfisher. The bank issued notice to the UB Holdings and got a reply which was not satisfactory. "We would take further action after due deliberations on the issue," he added. In September this year, UBI became the first lender to declare debt-ridden Kingfisher Airlines, its promoter Vijay Mallya and other directors wilful defaulters as the company allegedly indulged in diversion of funds by opening multiple accounts. The other directors declared as wilful defaulters by the Grievance Redressal Committee (GRC) of the bank are Ravi Nedungadi, Anil Kumar Ganguly and Subash Gupte. Kingfisher Airlines and directors declared as willful defaulters now won't be able to borrow from banks in the future. They would also lose director-level positions in companies and criminal proceeding could be initiated against them, if warranted, to recover the money. The bank had first given notice to declare Kingfisher Airlines as wilful defaulter on May 28. However, the company approached Calcutta High Court against the notice. A single bench dismissed the company's plea. Subsequently, it approached double bench which upheld the single bench order on August 28. UBI's exposure to Kingfisher Airlines was around Rs 350 crore (Rs 3.50 billion) as part of consortium led by State Bank of India. The consortium of 17 banks has an outstanding debt of about Rs 6,521 crore (Rs 65.21 billion) from the now-grounded carrier. Outside the consortium, UBI gave about Rs 60 crore (Rs 600 million) loan for pre-delivery payment. What makes Mallya a 'wilful defaulter'?